Sunshine Life and Health Advisors is a company focused on the agent experience. We offer around the clock support to our agents which includes a variety of different options to get your insurance career started and/or further along. 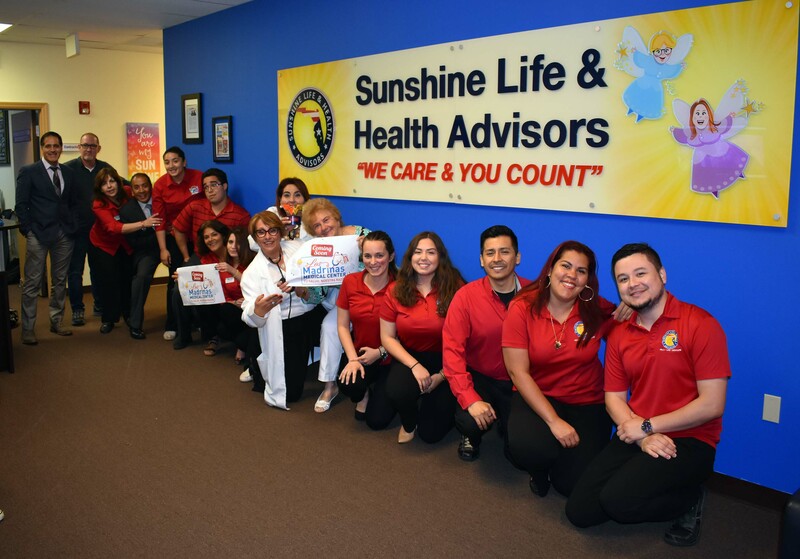 We here at Sunshine Life and Health Advisors are constantly striving to serve our community and the people we work with. Consistently building year after year to make sure every agent is growing both financially and spiritually. It is the power of teamwork which separates us from our competitors. We are leaders not only enrolling members into Health and Life Insurance plans, but we are leaders in ethics within our organization. We are here to work diligently for those who choose to be part of the Sunshine Team. Our company history although brief, is filled with excitement. It is a story of two friends who had vision, and most importantly faith in God and in each other. Odalys Arevalo and Mercedes Cabrera started to make noise in the insurance industry when people were not listening. With their bravado and steadfastness they began to amass a team of believers and started spreading the news across their community in Miami-Dade County. Their diligence and tenacity to see their plan to fruition persevered through the adverse conditions the Affordable Care Act platform provided in the fall of 2013. Odalys and Mercy fought their way to the top of the industry and enrolled over 50,000 members in year one of their infant company. Since then we have now enrolled close to 200,000 members nationwide and continue to expand our reach. We currently have footprint in Florida, California, Texas, and Utah. Today the community and the insurance industry know the two ladies as the Godmothers of Healthcare Reform. They changed the way this particular service industry works, and now they look to increase their magical touch throughout the United States.